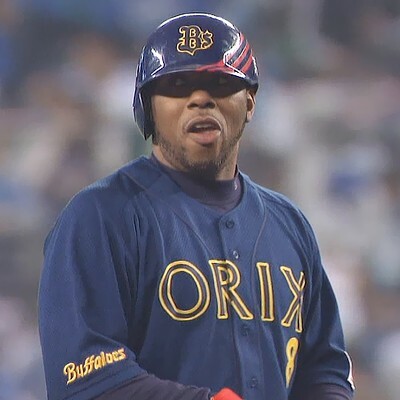 At age 41, he was released in November after finishing his third season with the Orix Buffaloes, batting .308 with 22 home runs, 62 RBIs, in 295 at-bats in just 84 games. 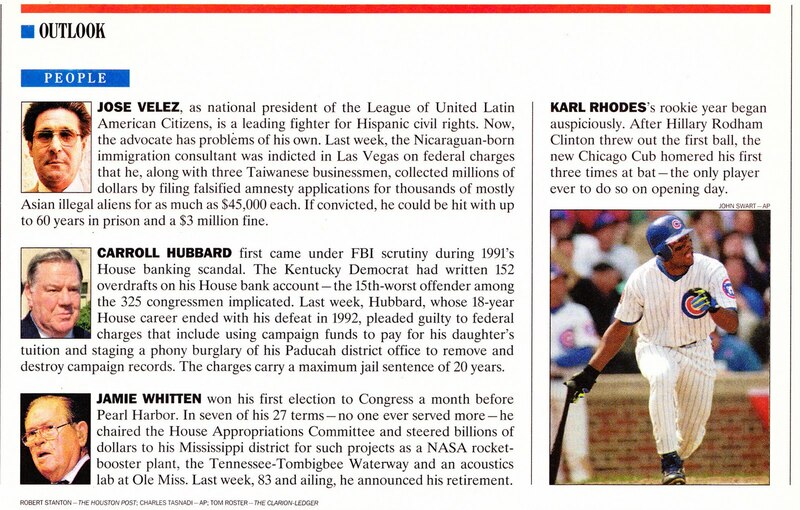 Rhodes felt that he could have been effective long enough to challenge for 500 career homeruns and 2,000 career hits. "I could have played two more years," he said. "I was still at the top of my game. 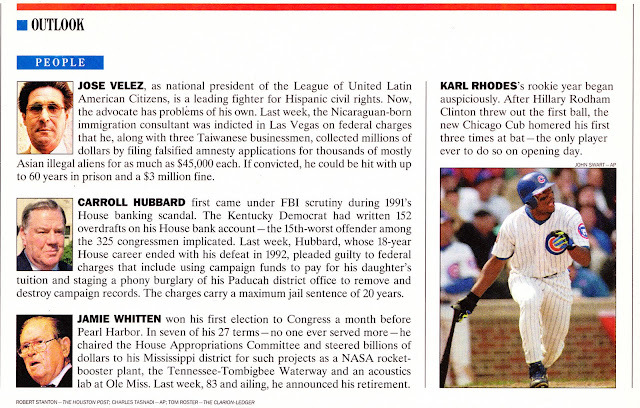 Of course I was older and wasn't as fast, but I was still hitting 40 home runs, with 100 RBIs, and [batting] over .280. You can match those numbers up anywhere in the world of baseball and see that those are pretty good numbers." He played 13 seasons in Japanese baseball, amassing 464 home runs, 1,269 RBIs and 1,792 hits, all of which are the highest totals ever produced by a foreigner in Japan. He became fluent in Japanese, which added to his popularity during his career. He became such a fan favorite that he could not travel publicly without being besieged with autograph requests. When the veteran of six major league seasons first arrived in 1996, he thought he wouldn't be there long enough to see the new millennium. "When I first got out to Japan, I told myself I was going to play there as long as possible," he said. "I wasn't thinking 13 years; I was thinking maybe two to three years at the most. Next thing you know, three years came rolling around, then it was four, then the next thing you know it was eight years for one team (Kintetsu Buffaloes). After that I was like heck, if another team wants me, I might as well see how long it could possibly go and it went 13 years." Playing baseball in Japan was an adjustment that many American players had trouble handling. Rhodes learned early on to embrace it. "My first year was rough," he said. "Then, I got accustomed to the way Japanese culture was and I never looked back." The business-like tone of the game differs greatly from that of the United States. He described some of the differences he observed from playing professionally in both countries. "Japanese people take baseball very seriously," he said. "It's like a job opposed to a game. We had meetings, batting practice and infield every day. It was more business orientated. Don't get me wrong, baseball in America is great and I love baseball in America first and foremost. Japanese baseball was more like a college atmosphere. We practiced every day. We were working together as a unit. At spring training, there was no family allowed. We had two-a-days the first month. It was rough, but it got you in shape. They worked all the time on baseball. Everything was baseball non-stop, 24/7, as opposed to America, we would take breaks and work our way into the season." Now with time to reflect on his glorious career in Japan, the subject of the Japanese Hall of Fame looms ahead. Rhodes is confident that his playing record will do most of the talking. "I really didn't pay attention to it [while I was playing]," he said. "If it is going to happen, it's going to happen. I'm going to let my numbers speak for itself. If they feel my numbers are good enough to be in the Japanese Hall of Fame that's great. If they don't, that's great too. I know what I did over there was an accomplishment in itself." While his numbers are serving as the ambassador for his playing days, his energies are now focused on a different target, his son T.J. He is a high school point guard, playing for the Houston Hoops AAU club, where the elder Rhodes is one of the coaches. "I'm focused on my son and his basketball career," he said. "I'm helping my son with his basketball team. They just finished the high school season and they're now in AAU." His son had little ambition to follow in his father's baseball footsteps. He got a quick taste of the game and decided it wasn't for him. "One time he played baseball for a month and he didn't want no part of it," he remarked. With Rhodes turning the page away from baseball, he has left fans with a wondrous body of work that expands across the world, merging a career that started as a skinny 17 year-old in the Gulf Coast League with a Hall of Fame career in Japan. Great stuff and I notice he still doesn't come right out and say he's done. I really hope somewhere during the season, one of the other teams comes calling, should one of their sluggers go down wiht an injury. Further evidence of how different Japanese baseball is to MLB. In the US, some team would have picked him up purely for the publicity of the countdown to his 500th HR and 2000th hit. I never realized there was a slideshow feature in Picasa, nice to see my collection getting some air! There are players older than he still going in the NPB that are less productive. Couple that with the fact that Rhodes doesn't count against the foreign player limit, it makes for a real head scratcher why he isn't in some team's uniform right now. Rakuten should've signed him to be their first baseman, or to replace the walking zombie corpse that is Takeshi Yamasaki.